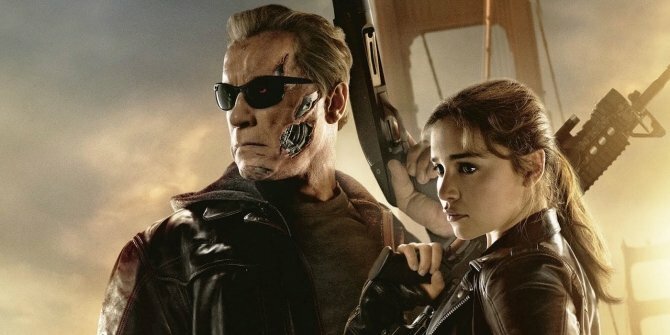 Paramount Pictures once had major plans for Alan Taylor’s Terminator Genisys. Series stalwart Arnold Schwarzenegger was back on board, a mind-bending script was in place, and the studio had recruited one of the most sought-after stars of the moment in Emilia Clarke. What could possibly go wrong? Quite a lot, as it turns out. Following a dismal bow at the box office – a measly $440 million, and that’s including the boon from China’s market – Paramount quietly delayed both sequels to Genisys indefinitely. Now, we’re faced with another reboot in the form of Terminator 6, which looks like it’ll fare a lot better than the last few entries in the franchise. But fans are still left to wonder what could’ve been. Thankfully, we’ve got an idea of that today and it seems as if the sequel to Genisys would’ve focused on cyborg John Connor. Speaking to Collider recently, Jason Clarke revealed that the follow-up planned to dive deep into the T-3000 Connor. What I remember was that second one was going to be about John’s journey after he was taken by Skynet…like going down to what he became; half machine, half man. That’s where the second one was going to start, and that’s about all I knew. For all its many problems, Alan Taylor’s film at least understood the core ingredients of what fans of the franchise want in a Terminator movie: solid action, a decent story, and dialogue that doesn’t make you want to gouge your eyes out, for a start. The fact that these ingredients weren’t cooked thoroughly to tasty perfection is, well, a slight oversight, but at least it tried to tick the majority of the boxes that fans of the series want in their Terminator flicks. Still, we’re happy that the sequel was scrapped in favor of starting fresh. From what we understand, the next film in the franchise will ignore everything but the original and Judgment Day. Both Arnie and Linda Hamilton will reprise their roles, and Mackenzie Davis has climbed on board as the new face of the series. Of course, it’s still early days for the project, but it sounds like director Tim Miller and producer James Cameron plan to go back to basics with a more stripped down approach, and after the needlessly convoluted Terminator Genisys, that’s probably the right call.